If you work around the Aldgate area and are looking for things to do for fun, there are loads of great options. 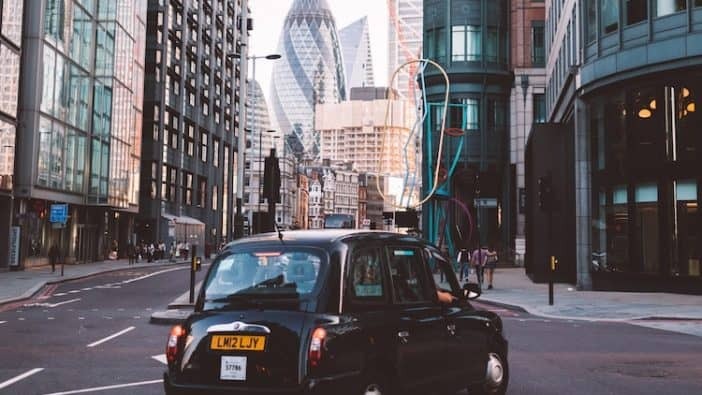 Maybe you’re stopping in London for the weekend, or maybe you’re looking for something fun to do after work in Aldgate – whichever box you tick, you’re bound to find something in this part of the city that’s entertaining. Aldgate is a great area of central London, full of bustling offices during the day, and after-work drinks and nightlife during the evening. If you’re planning a fun afternoon, day or weekend – there’s plenty to do around here. So gather your friends, and get started! If you haven’t tried an escape room yet – what have you been doing with your life? An escape room is the ultimate group activity in London, and Omescape is the best in the city, located in the heart of Aldgate. The Omescape concept is immersive, mind-blowing and full-on entertaining, perfect for a group of friends of colleagues looking for fun things to do in Aldgate. You’ll have around 60 minutes to find clues, solve puzzles and escape the room – and it’s great fun figuring out the solution and seeing what hidden talents people have! There are two different themes you can choose from at their Aldgate branch; Huxley (a VR version) and Kingdom of Cats. Huxley is a new type of escape room, using wireless VR headsets and backpacks to make the experience fully immersive. The experience is unlike anything you’ve tried before, and it’ll transport you into another world where you need to complete an urgent mission to save the world. If you’re looking for something completely unique and totally different – this is it. You have to try it! If you love finding bargains and browsing unique shops, Brick Lane Market will be right up your street. Take a stroll through vintage shops, independent markets and quirky clothing stalls and let your inner shopaholic come out. The east London area of Brick Lane is known for being super quirky and cool, and is one of London’s trendiest districts – and a mere 5-10 minutes walk from Aldgate. If you find yourself hungry along the way, Brick Lane has lots of lovely independent cafes and food stalls too, serving up delicious grub. Street art is one of the things Aldgate (and east London) is known for. You’ll find lots of street art tours leave from around Aldgate station every day, and take you on a winding adventure through the cobbled streets of Aldgate and Brick Lane. There are some really famous artists located all within walking distance of Aldgate, so make sure you have your camera ready! A good tour guide will be able to point them all out to you, from tiny sculptures to gigantic murals. There’s something for every taste and style. After bonding as a group doing an escape room, take in the nightlife around Aldgate and sample some of the world class nightlife. The area comes alive at night, as it’s one of the most popular areas for young professionals who work in the financial and creative districts (which neighbour Aldgate). There are loads of brilliant cocktail bars in this part of the city including; Patch East, Apples and Pears, City Z and BYOC City. Take your pick and enjoy a night of laughter and great drinks, and look out for happy hour deals too (you might be able to grab a bargain). If you plan on trying out the nightlife in Aldgate, you’ll definitely want to try one of the famous bagels from the late-night bakeries open along Brick Lane too. These bakeries are open all day and all night, and serve up the best bagels in the UK (some would claim!). They’re delicious and they’ll soak up that alcohol too – leaving you hangover free in the morning. For something a little more chilled out, but equally as fun, the Sky Garden is a beautiful oasis situated high above the London concrete streets. Located on the top floor of a London skyscraper, and overlooking some of the city’s most iconic buildings (including The Shard) – you can’t find a nicer place to enjoy a drink, or just enjoy taking some snapshots of the city. It’s free to enter, and it’s open all day and into the evening too. One of London’s most well known attractions and museums, The Tower of London is a prime spot to visit near the Aldgate area. Prepare to queue, but once inside you’ll be surrounded by fascinating artefacts, amazing displays and incredible historical pieces – like the Crown Jewels! You’ll have loads of fun exploring the old castle, and it’s truly fascinating seeing where prisoners were brought in. You’ll also learn all about the traditions and suspicions of the area, and even the rumours too.